We boarded Royal Caribbean's Vision of the Seas in Venice for a 7 night cruise around Greece. Vision of the Seas and the Royal Caribbean vibe was as fantastic as our previous holiday and the destinations on this cruise were incredible. Kotor – very scenic port arrival. Strolled the town and walked around the old city. Corfu – walked around the old city and swam near the yacht club below the old city. Athens – took a Royal Caribbean shore excursion which included the Acropolis and Plaka. Worth doing a tour here. 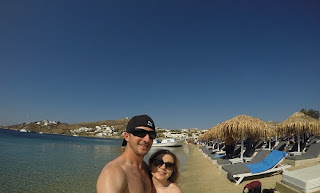 Mykonos - hired a scooter for 20 Euros and explored the beautiful island and its beaches. It's a small island, so you can cover a lot in a day. A definite highlight of the cruise. Argostoli - our last stop, situated on the island of Kefalonia. 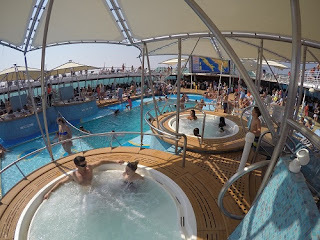 The Royal Caribbean tour is recommended as the island is large involving lots of travel time to the sights. The Melissani Cave is amazing, floating on bright blue water. Venice - the start and end of our Royal Caribbean, Vision of the Seas cruise, but we were lucky enough to spend 2 days in Venice afterwards. We walked about 45kms in those 2 days. St Mark's Square, Bridge of Sighs, Riolto Bridge and other sights are great, but almost every corner in Venice is photo worthy. A Gondola ride is expensive, but it was great to have been in one. Overall Venice has so much charm.